BackJoy Blog | BackJoy Featured in Experience Life Magazine – Again! BackJoy Featured in Experience Life Magazine – Again! Once again, Experience Life (where “Being Healthy Is a Revolutionary Act”) has recommended BackJoy® as one of “the fitness, nutrition and life balance products… on [their] radar right now”! 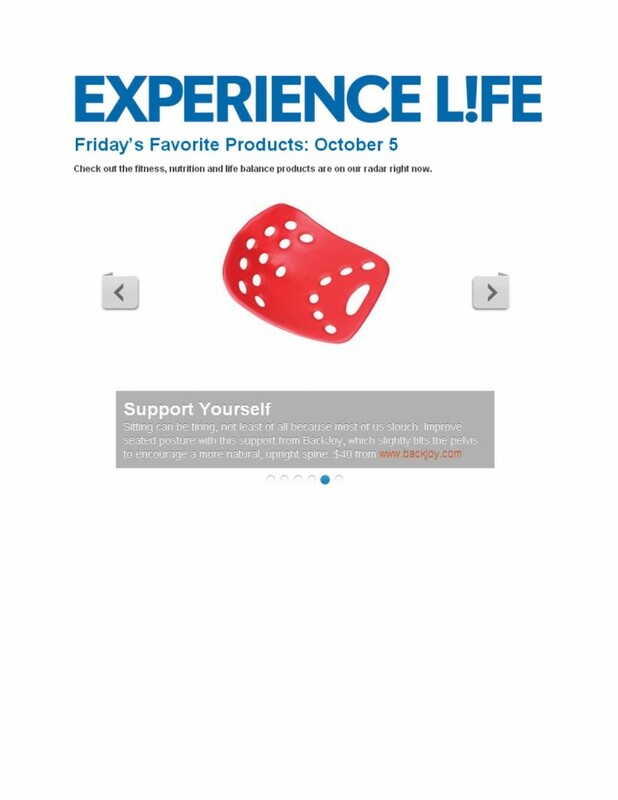 Check out ExperienceLife.com to find more recommended feel-better products – and also be sure to visit BackJoy.com to learn more about ours! We always love hearing back from our customers – so if you have something to say about one of our products and how it has worked for you, please let us know in the comments below!